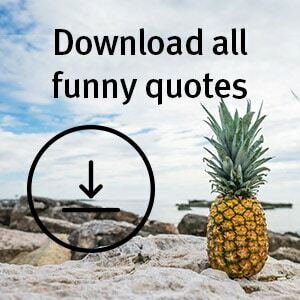 Time to have a gooooood laugh, time to unveil the best funny travel quotes you will love. 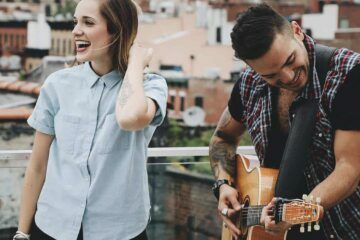 We list here a bunch of cool quotes to have a good laugh. Some are more funny, others less, judge for yourself. These travel quotes are not ordered by any meaning. We just randomly organized them for you. 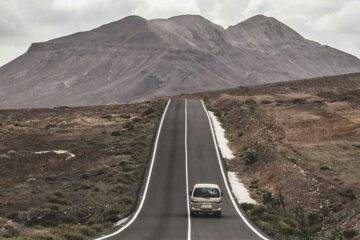 Some of these are funny travel quotes from movies, others are more quotes for your travel friends. 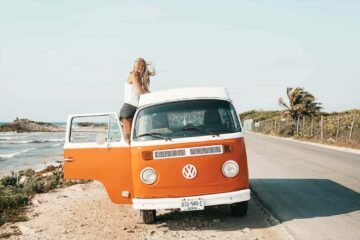 If you want to read more quotes about traveling with friends, we created also friends travel quotes. At the end of this post we have an extra gift for you. 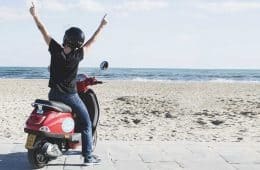 You can download the full list of all the fun travel sayings and quotes. 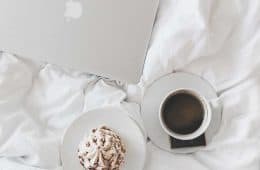 You can use this list to create your own t-shirts, home decor, gift for your friends, or whatever you like. Just download them as a .pdf and go nuts! 1. Can we just skip to the part of my life where I travel the world? 3. Screw the caviar, I want to travel the world! 4. Vacation calories don’t count. Right? 5. 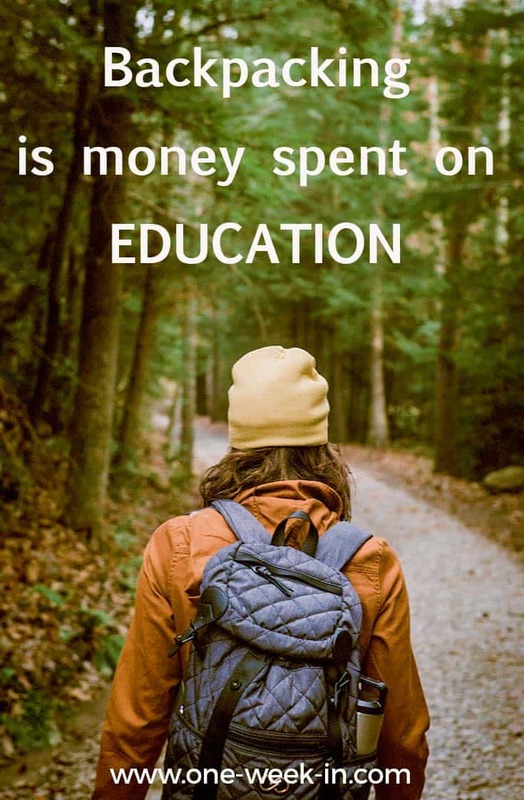 Backpacking is money spent on Education. 6. I always want to wear flip flops, but my boss doesn’t like it…guess, I’ve to travel then! 7. Work hard, travel harder. 8. Kilometers are shorter than miles. 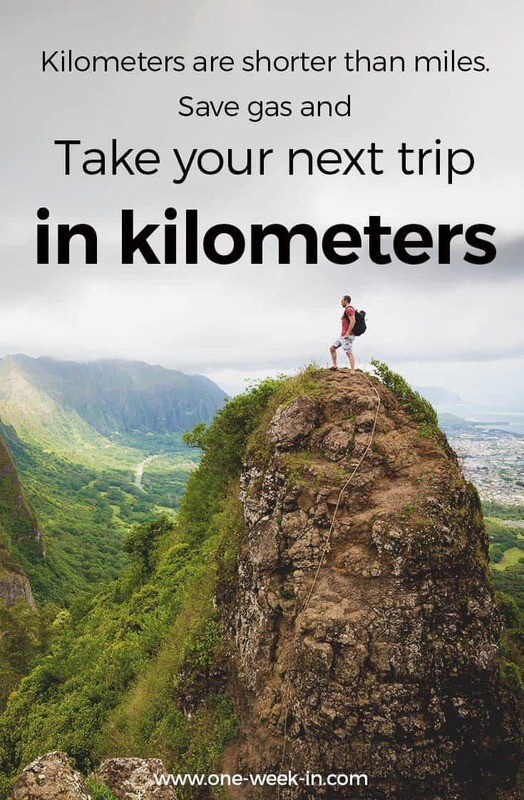 Save gas and take your next trip in kilometers. but I already know it’s gonna be awesome! 10. I want someone to look at me the way I look at a travel magazine! 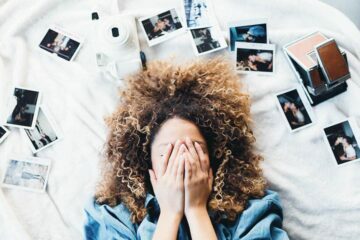 I’d rather like to have a lot of stories to tell, than a full bank account. 14. 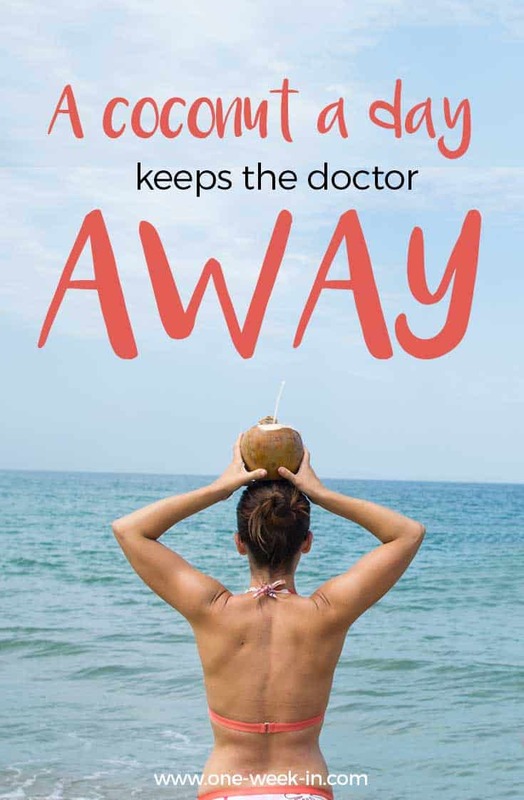 A coconut a day keeps the doctor away. 15. I’m here for the fun! 16. 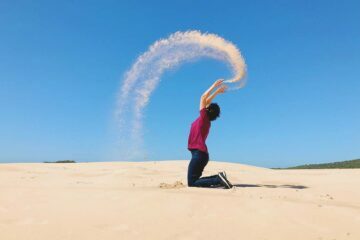 Take me to the next beach, like now! 19. This is me, walking down the aisle. 20. Go no, next week or next month…but GO! 22. I’m here for the fun! 23. 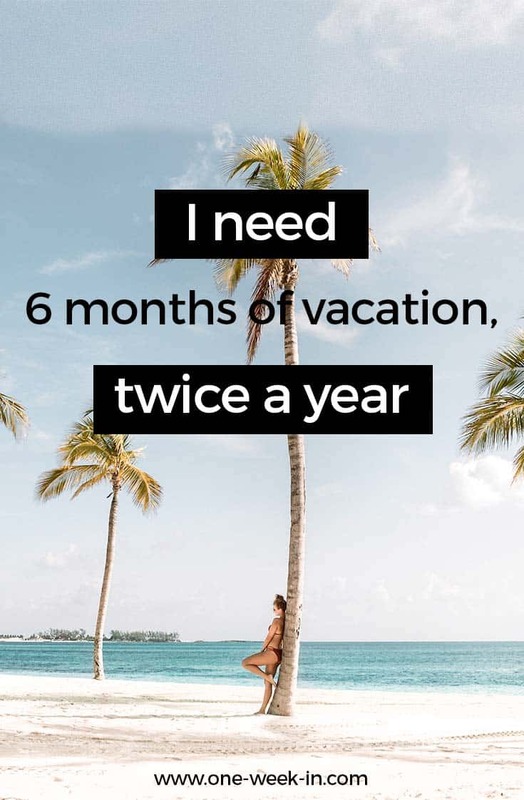 I need 6 months of vacation, twice a year. 24. Jetlag is for amateurs! 25. 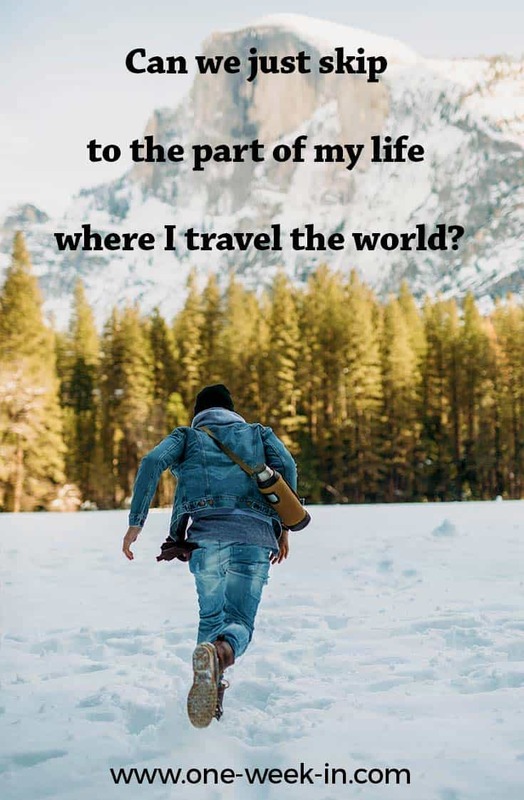 Me: I want to travel more. Bank account: like, to the park? 26. 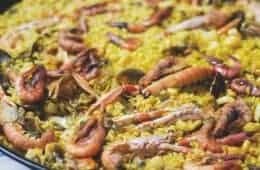 People who eat travel are the best. 28. Life is not a fairytale. 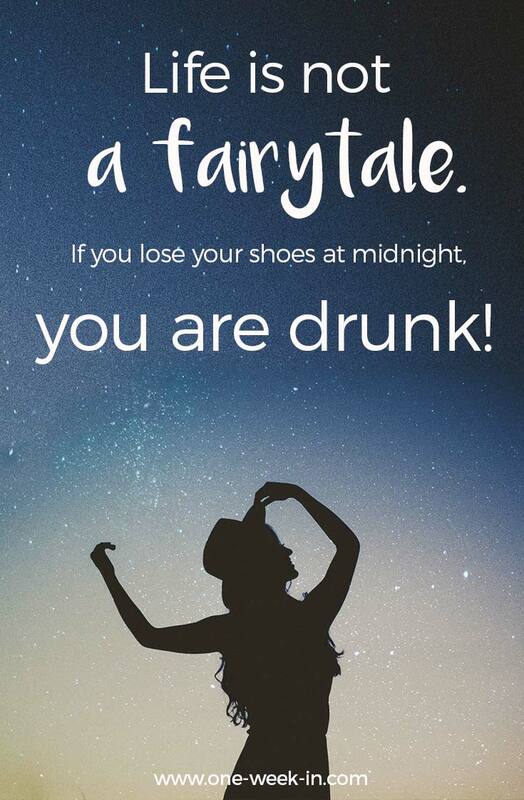 If you lose your shoes at midnight, you are drunk! I’d rather ride with the bike to the beach. 30. Overpack. It’s why suitcases have wheels now. 31. Girls don’t wait for the prince anymore, they pack and travel the world. 32. It’s called present…it must be a reason for that! 34. 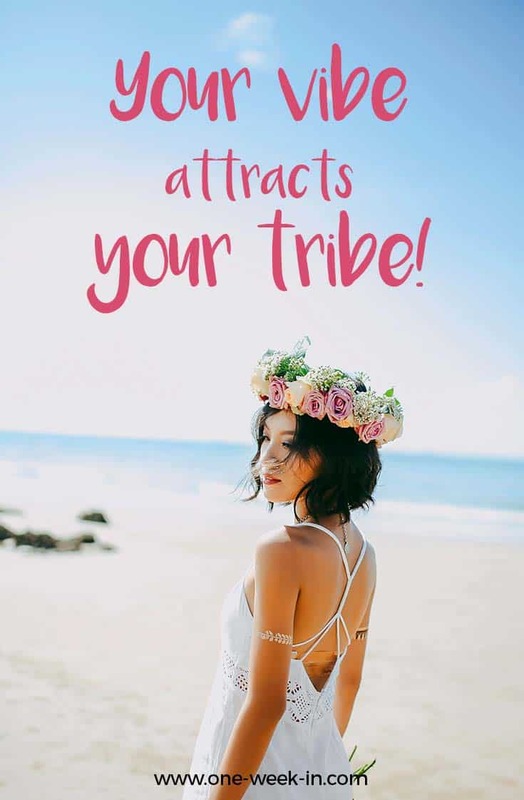 Your vibe attracts your tribe! 35. The tans will fade, but the memories will last forever. you did something terribly wrong! 37. People having babies…and I’m like: What country am I going next? 38. 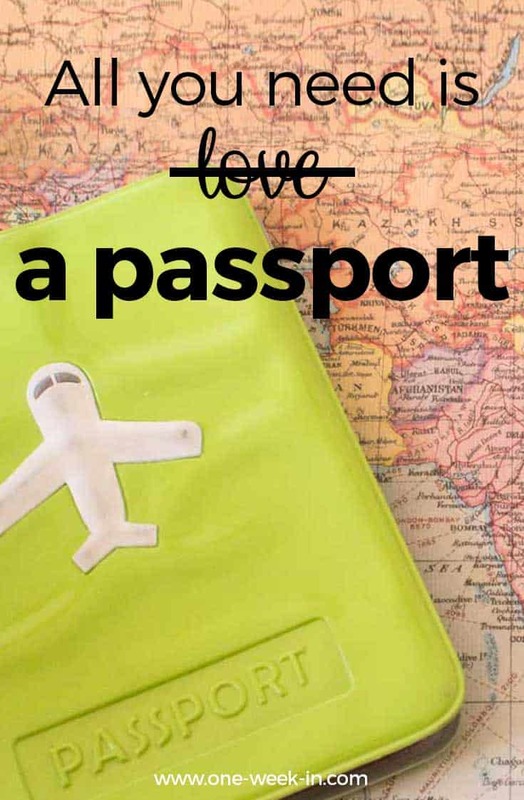 All you need is love a passport. touched the Mahal, and finally had some sushi in China! I am a full traveler! 40. Education is important. 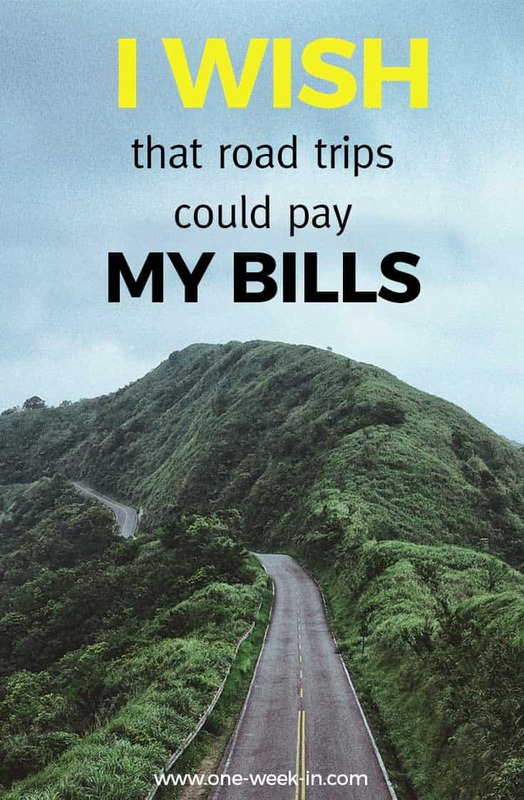 But travel is importanter! 41. 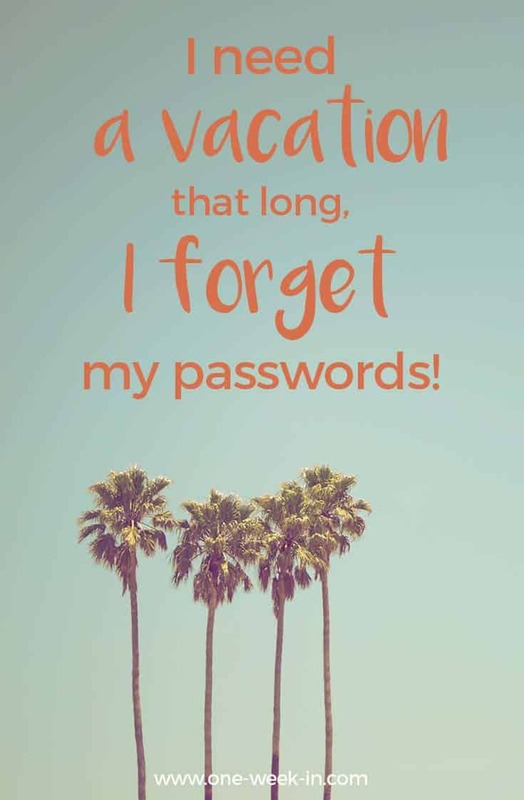 I need a vacation that long, I forget my passwords! 42.My parents complain I travel too much. do they realize how lucky they are? 44. I don’t know where I’m going, but I’m going. 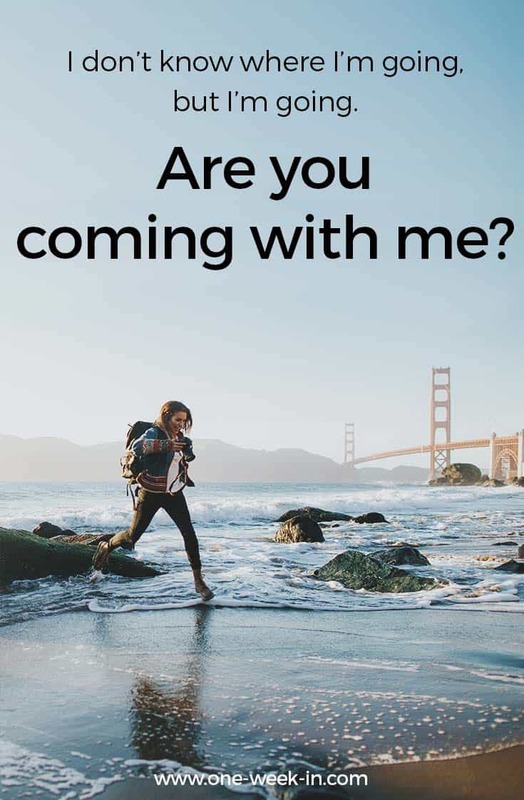 Are you coming with me? Do you love all these sayings we collected? We turned them into cool Pinterest pins as well as a free downloadable .pdf. Just click on the image below or here to save the .pdf to your device. Note: You can use all these for your own gifts, creative things you want to do with them. Did you have a good laugh? Or a bit at least? Travel quotes can be a great way to boost your travelers confidence, a motivation. They can be cheesy to people that do not really value those, but hey, whatever, right?! 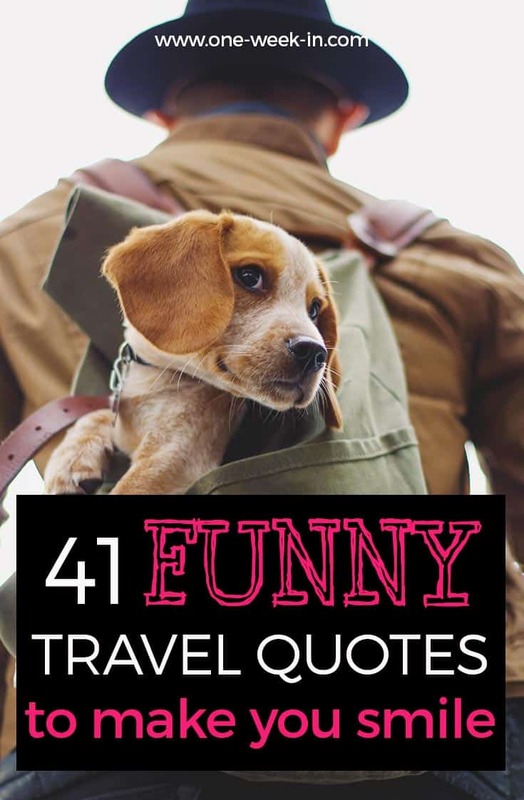 We would love to make this list of funny travel quotes and sayings bigger and better. 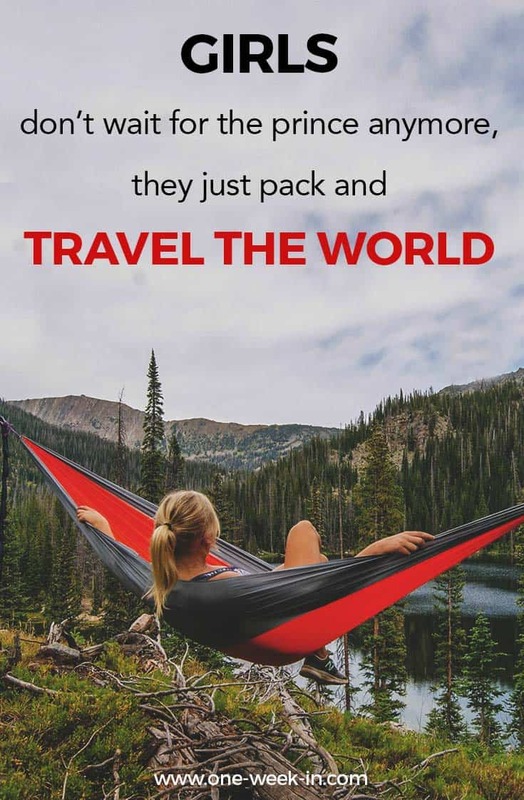 Do you know any other cool and fun saying about travel? 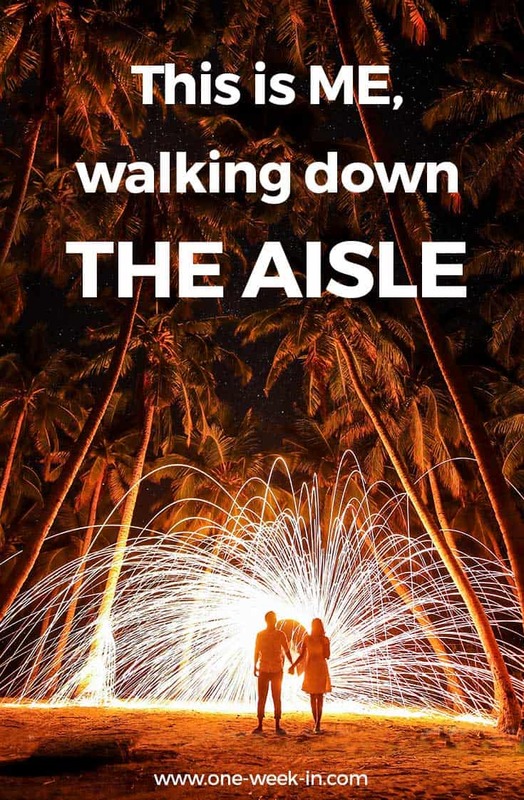 Do you know more awesome travel quotes we missed? Then please please please drop us a comment with the quotation below. We will turn the best ones into cool quotes on Pinterest. Wow, I have enjoyed the funny travel quotes you have done good work and you try to people to laugh.